The Chicago Cannabis Health Initiative embraces diversity, health, and knowledge in the cannabis industry thru lectures, experts panels, health screenings, cooking demo, vendors and more at the first ever Chicago Cannabis Health Fair. Chicago NORML holds monthly update meetings monthly on the 1st Sunday. During the winter months, we are implementing an ONLINE format. Watching from the cozy comfy sure beats trudging around in the cold. You MUST register for the meeting to participate. For more than four decades, NORML Affiliates and Chapters have demonstrated their ability to mobilize thousands of marijuana advocates from around the country. This month, Chicago NORML will join lobbying veterans, Illinois NORML in Springfield in hopes of creating excitement and support for pending marijuana legislation. Chicago NORML holds monthly update meetings monthly on the 1st Sunday. We don’t want you to be late for Superbowl kickoff (if you’re into that sort of thing), so we’re starting ONE HOUR EARLY this month. What would the holidays be without a Chicago NORML mixer? Sayonara 2018! We’re looking forward to new beginnings, new collabs & new legislation in 2019! Chicago NORML trainings are developed and taught entirely by ILLINOIS dispensary agents. Welcome back from Summer vacation!! Chicago NORML holds monthly update meetings monthly on the 1st Sunday. September's 1st Sunday falls smack in the middle of our Labor Day weekend, so we've pushed back 1 week. Save your seat and be a part of the discussion! First Anniversary Toast - Spend Your Happy Hour with Chicago NORML! Raise your glass with us as we toast to the beginning of YEAR TWO of cannabis education, empowerment and activism. Due to illness, this training has been rescheduled. If you signed up for the previous class, we got you! There is no need to re-register. Have you ever wanted to teach people about cannabis? Chicago NORML will train you how to have detailed and ACCURATE discussions with your friends, relatives and community members about our favorite plant. 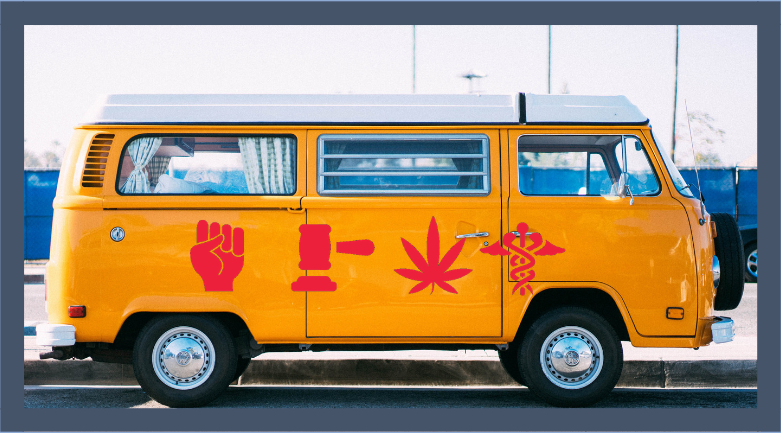 You'll learn the history of cannabis prohibition in the US, medical terms, and how to research pertinent legislative information. Chicago NORML holds monthly update meetings. Save your seat and be a part of the discussion! Sponsors of the CANNABIS REGULATION AND TAXATION bill, Senator Steans and Representative Cassidy, are going to speak about the pending cannabis legislation at a Town Hall meeting in Oak Lawn, next Monday, June 11, 6:30-8:30pm at the Oak Lawn Library. The venue holds a maximum of 100 people, and we'd love to make sure that some of them are from Chicago NORML! In addition to this exciting musical lineup, there will be plenty of fun things to do and see this weekend. During the day, you can meet the stars of the cannabis industry, get informed at the non-profit section, and get up-close and personal with your favorite flowers. #GoNORML with fun, food, & live entertainment!